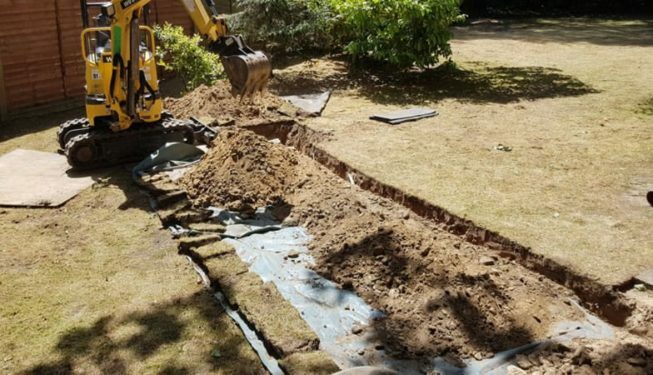 A soakaway is a hole dug into the ground filled with rubble and coarse stone to allow surface water to percolate back into the earth close to where it falls. 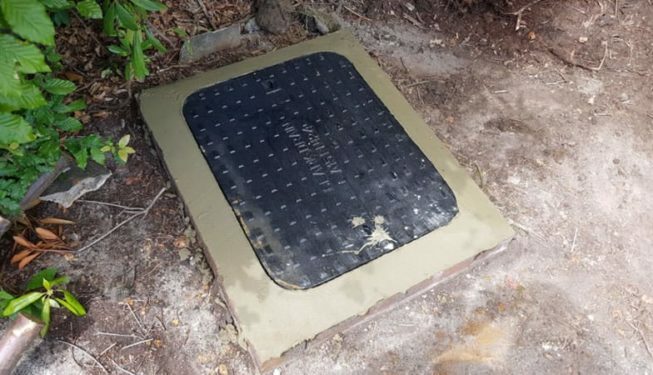 As part of a drainage system it is efficient and is a low environmental-impact method of dealing with surface water (also called runoff, rain water or storm water). There is a pipe leading into the soakaway from the area where there is excess water – think of it like a gutter from a roof, a driveway drain or a French drain. The make up of the ground affects the soakaway design. The soil where the soakaway is planned needs to be have good drainage properties. It is pointless sinking a soakaway in clay, because it will hold the water and you effectively create a large puddle. DO I NEED A SOAKAWAY? You typically need a soakaway if you have areas on your property that are waterlogged or have standing water building up against walls. 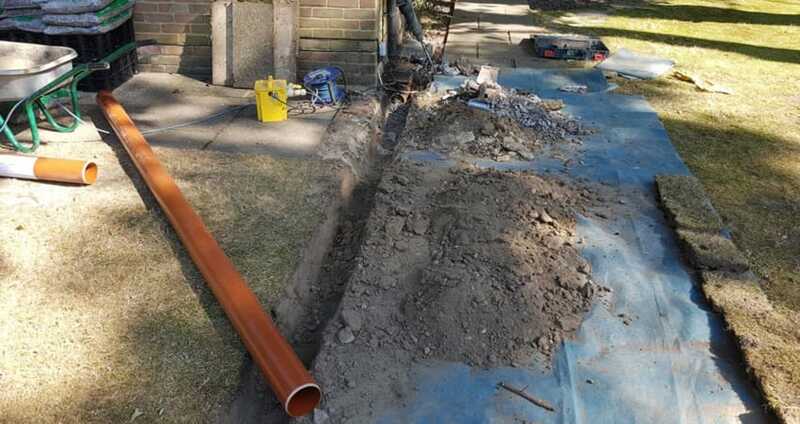 Installing drainage to remove surface water prevents short and long term water damage and damp to your buildings. If you are using hard landscaping in your garden or building a driveway it is advisable to ensure that surface water is dealt with as part of the project. 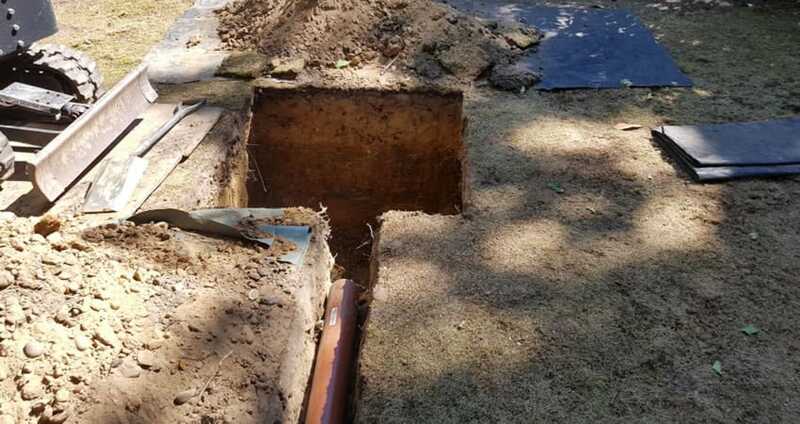 It’s a common mistake to direct water into the existing sewers and onto the effluent treatment systems. 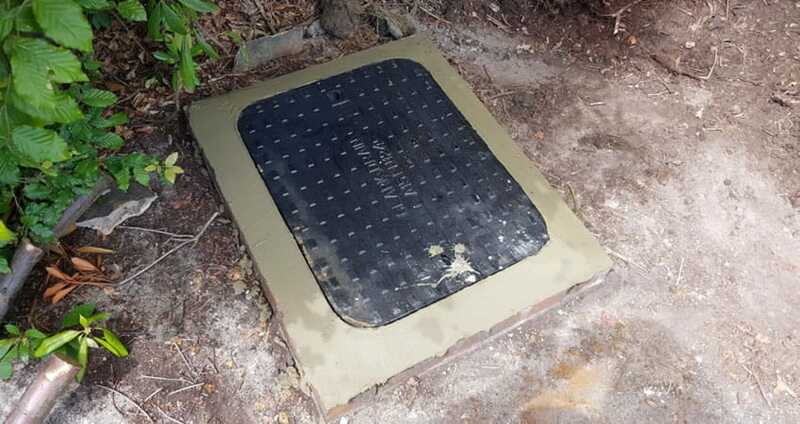 A soakaway provides a Sustainable Urban Drainage System (SUDS) which complies with this regulation. You should also read the building regulations on dealing with surface water at source instead of directing into existing sewer systems. 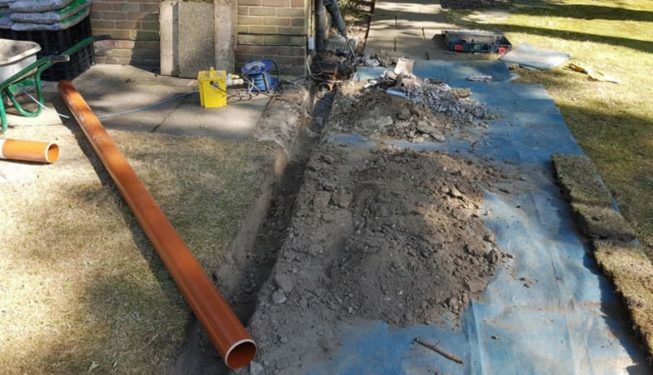 When you have drained the water from the ground you will want to direct it into the rainwater drain system of the mains drains or into a soakaway, but not into a foul water system. 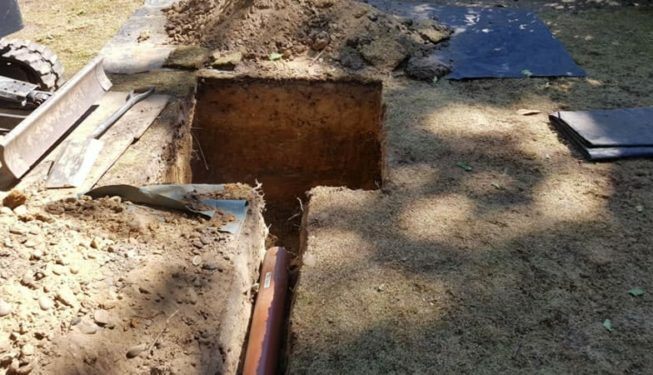 You should not direct rain water into a cess pit or septic tank.